You From Raising Your American Flag! 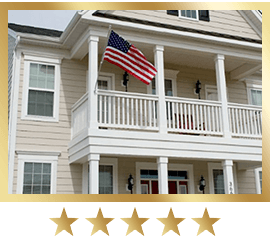 All Your Flags Will Always Looks Great! Show that you run a proud American business. Share season greetings, mascots and more with friends and neighbors. The Secret is the Spinning Pole Tip! 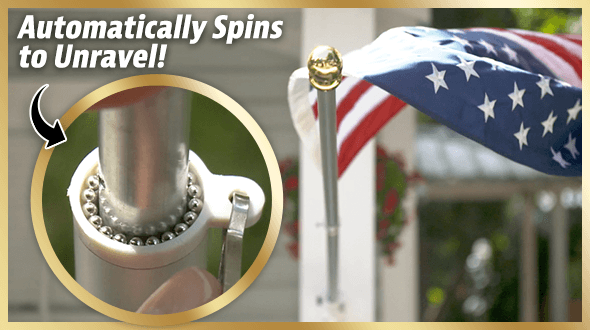 Built with Tangle Free Technology, the unique two-section construction lets the top section spin on ball bearings to avoid tangling. 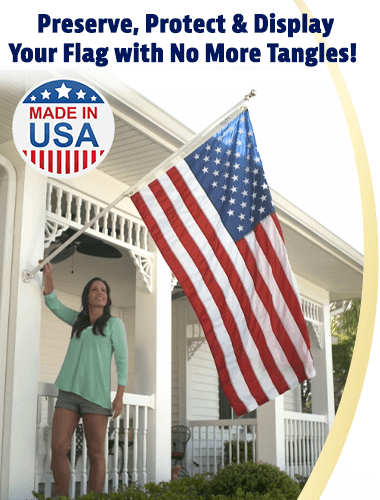 Perfect for front porches and great for decorative flags and college banners. 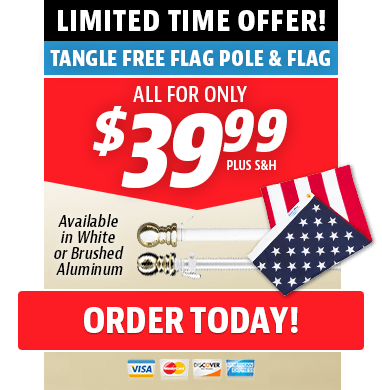 The pole adjusts to let you position your flag at the angle you prefer. 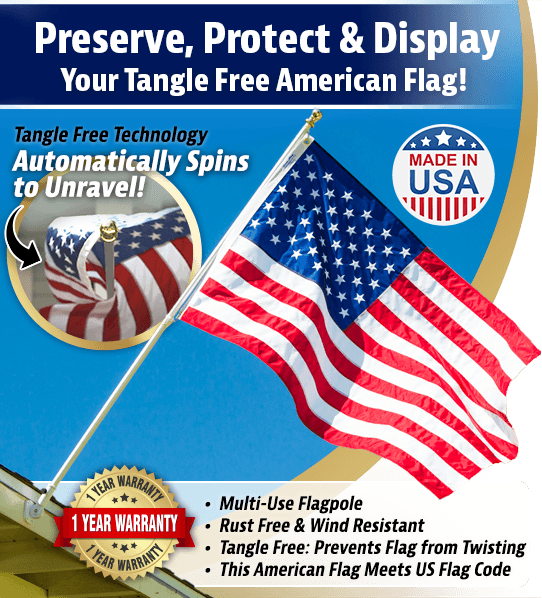 It's The Flagpole That's Truly Tangle Free! Flying Beautifully in the free air that we love. Thank you! I am happy to say this HIGH quality flag will be my choice anytime I need an American flag. "I am participating in a flag "run" to support our troops and there are over 150 vehicles so far involved. We are driving about forty miles through our city and neighboring cities. 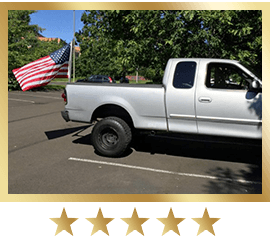 Every vehicle will have an American flag on it along with some of us also having flags that represent the branch of the military we served in. Thank you Grace Alley!" 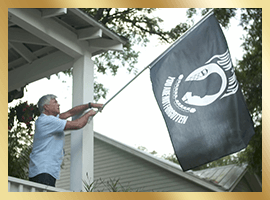 The craftsmanship put into this flag is amazing. 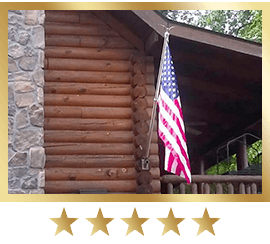 "This flag is very sturdy and simply beautiful; the nylon stripes are sewn and stars are embroidered. The brass grommets are set true. 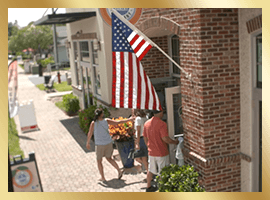 Our beautiful flag is displayed proudly on our home. We enjoy looking out the window and watching it wave in the breeze, reminding us of the Freedom we sometimes take for granted." 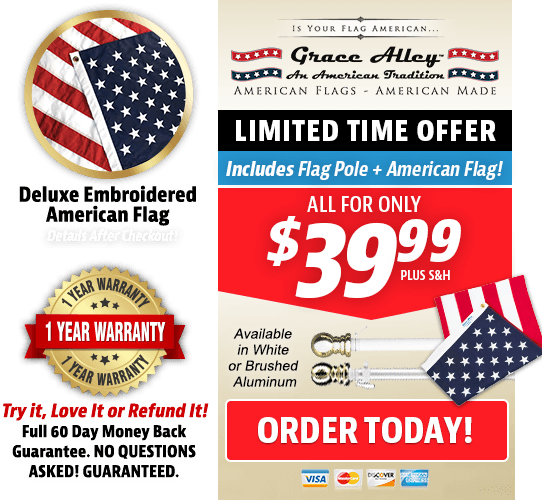 Give Old Glory The Display She Deserves! Order Now!